Penny Pether (1957-2013) was an Australian scholar whose passionate life-long commitment to interdisciplinary legal research pervaded every aspect of her teaching and academic life. She helped convene the first conference of the Law and Literature Association and founded the interdisciplinary journal Law Text Culture. 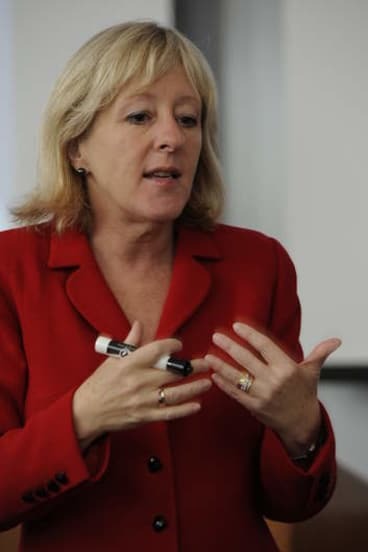 Penny was a mentor to younger academics and graduate students in the field. She held, demanded, and advocated the highest standards of interdisciplinary scholarly endeavor. The Penny Pether Prize reflects and honours Dr Pether’s commitment to academic excellence. The Prize recognises authors whose book has made a significant contribution to the field of Australasian law, literature and humanities scholarship. 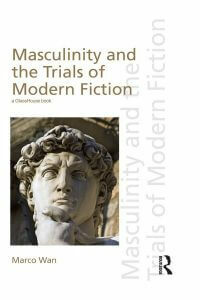 Marco Wan’s monograph, Masculinity and the Trials of Modern Fiction (Routledge, 2016), is an exemplary work of law and literature. In Wan’s layered reading of five obscenity trials in 19th-century England and France, this book realises some of the most vital aims of the field. Wan’s command of law, and of literature, enables him to appraise the reading practices and pretensions of each, and to illuminate the courtroom conversations that take place between them. Wan asks a question at the heart of law and literature, how does the law read not just the texts but the novels that come before it? He answers this question by attending not only to final judgment, but to an original archive of trial transcripts, prosecution and defence submissions and oral argument. Wan’s reading of law’s encounter with these novels as shaping and preserving hegemonic forms of masculinity deepens his argument and extends the already impressive reach of this book. This is an exceptionally meticulous and beautifully crafted text: alongside its contribution of the fields of law, literature and masculinity and gender studies, Wan prosecutes his case with clarity and authority, and with the pleasure of the reader in mind. 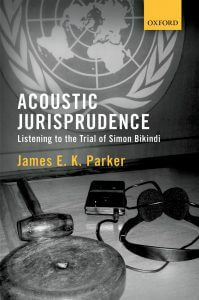 James Parker’s Acoustic Jurisprudence takes as its archive the trial for genocide of the renowned musician Simon Bikindi at the International Criminal Tribunal for Rwanda (ICTR). Paying outstanding attention to his source material, and writing in a style which is always lucid and engaging, Parker mounts an ambitious case for the broader significance of technologies of sound—recording, radio-broadcasting and live performance—to questions of legal responsibility, thought, theory and practice. In its scope, diversity, and detail, Parker’s work reshapes the field of law and music towards what the author terms ‘acoustic jurisprudence,’ creating a bold and original contribution to law and humanities literature which will stimulate much work in the future.